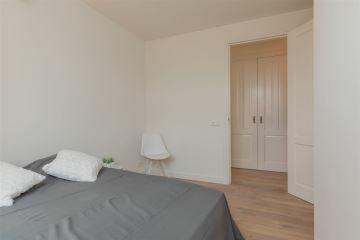 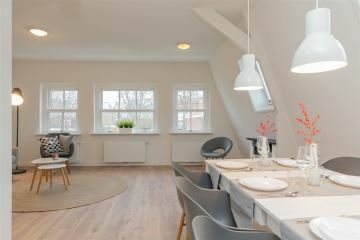 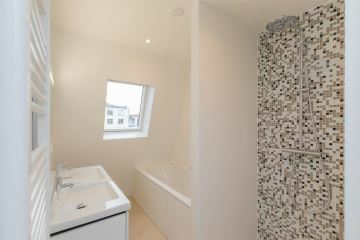 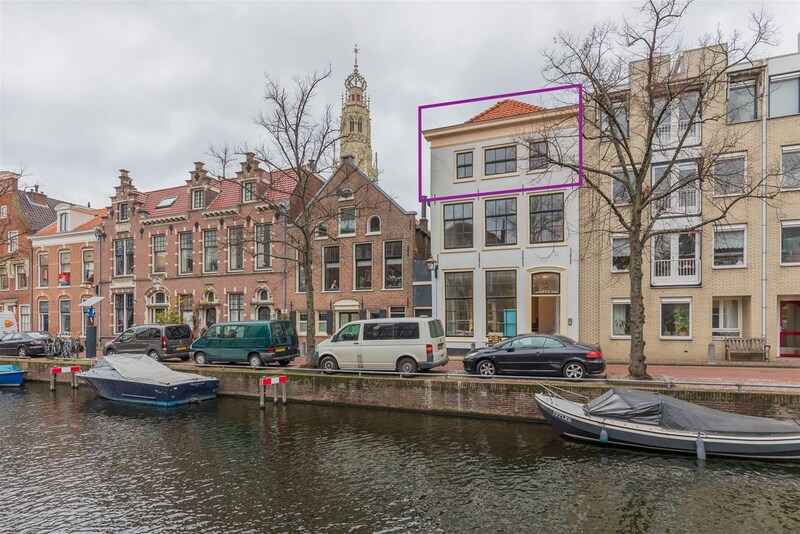 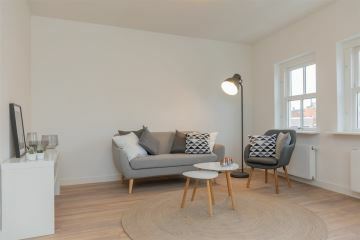 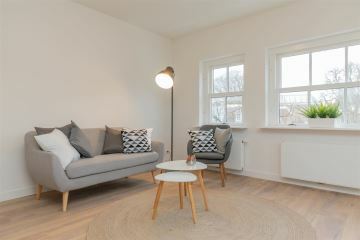 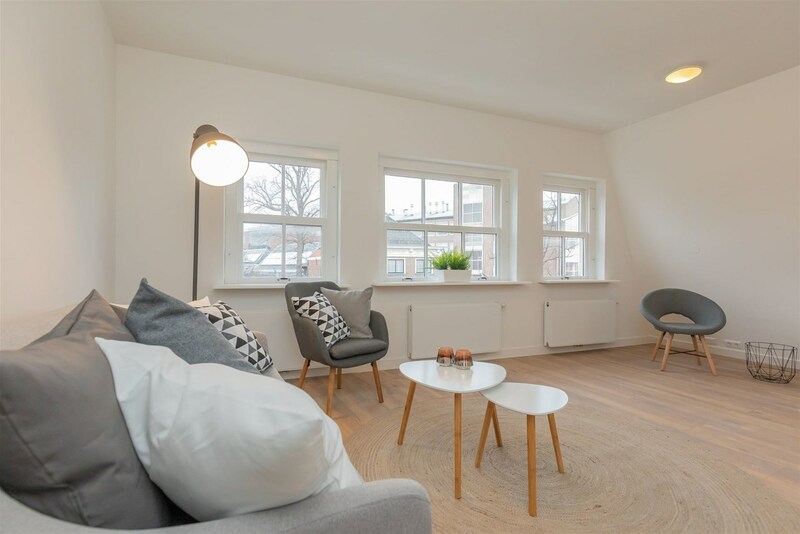 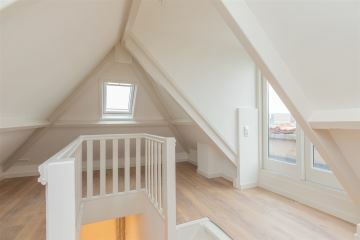 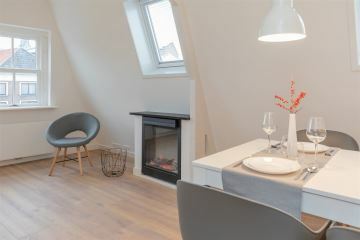 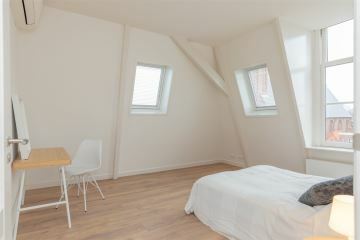 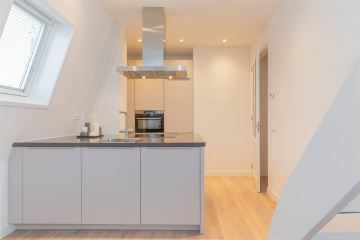 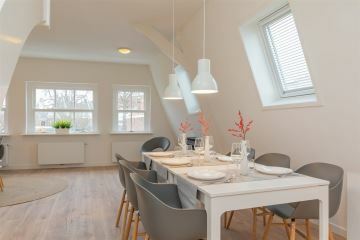 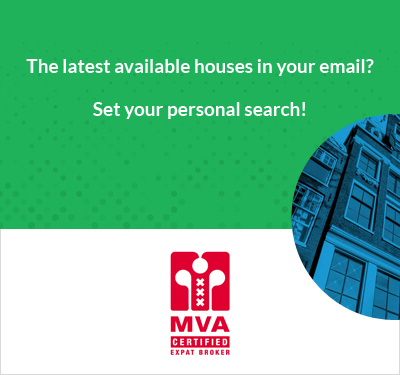 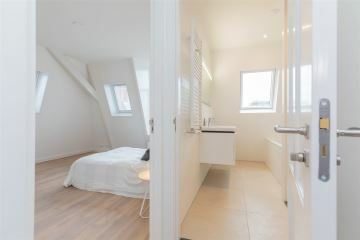 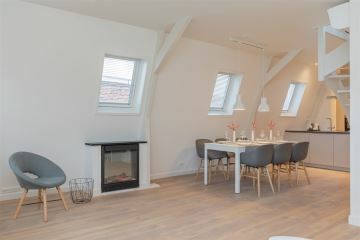 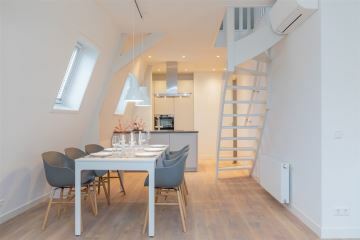 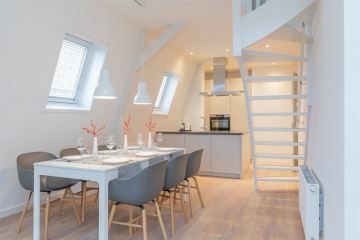 Wonderful "LOFT" apartment in a historical Canal House in the Centre of Haarlem! 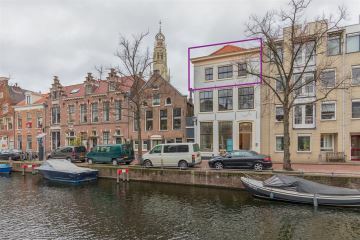 The Canal House is located at the foot of the Bakenesser Church. 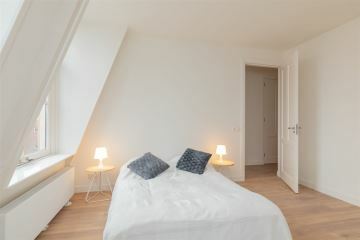 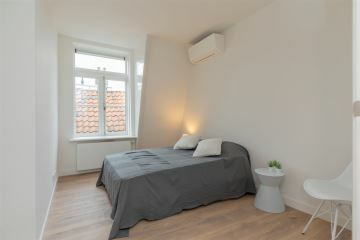 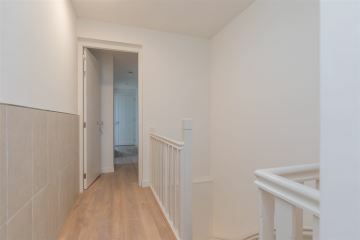 All kind of facilities like the �Grote Markt�, shops, restaurants and theatre are within walking distance. 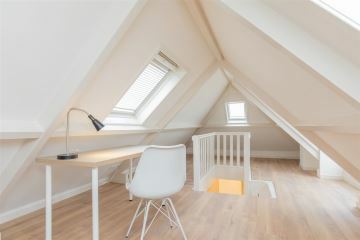 Public transport (NS and bus stops) and exit roads towards Amsterdam/Schiphol and the Hague you reach in short time. 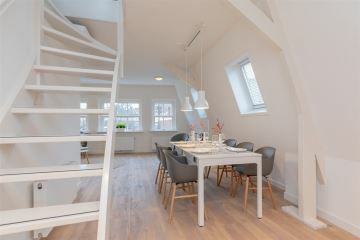 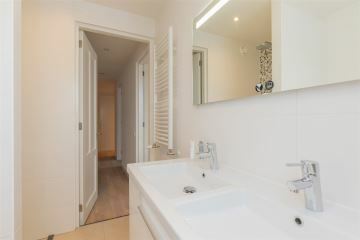 Second floor: private entrance, entrance hall, videophone and alarm-system, laundry room, toilet with fountain and CV setup, modern bathroom (with floor heating) with shower, bathtub and double washbasin, 2 bedrooms (13.8m2 and 10.5m2), living room (39m2) with electric fireplace and modern open kitchen with a.o. 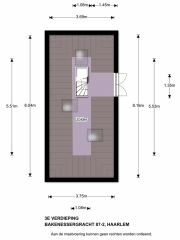 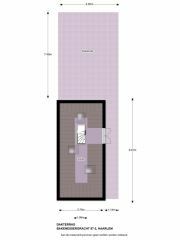 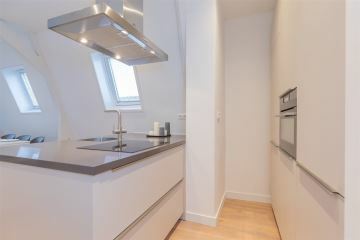 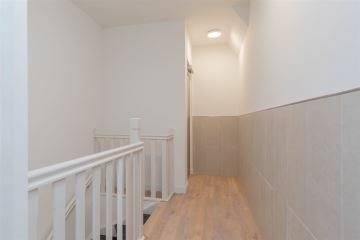 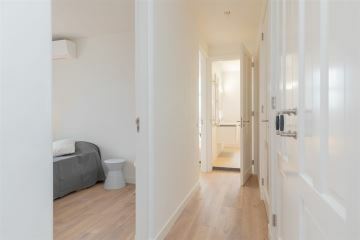 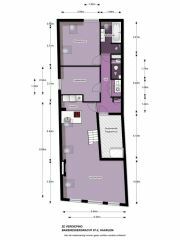 quooker, dishwasher, induction cooker, oven/microwave, fridge/freezer, stairs to loft space (7.9 m2) with double doors to over roof terrace (47.6 m2). 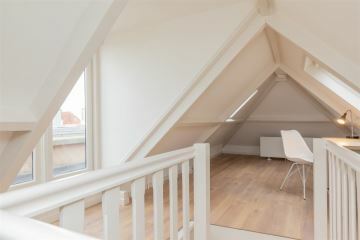 -Unique view over historical centre of Haarlem from large roof terrace.